The First Nations Longhouse at UBC’s Vancouver campus acts as a central hub for Indigenous community, events, and services. British Columbia’s largest university is exploring whether to offer on-campus housing specifically reserved for Indigenous students. “We’ve also seen different universities have Aboriginal-specific housing, so while there’s not a plan in place to make that happen, that’s definitely something the university is looking into and exploring, and seeing how it’s working in comparative universities,” said Joey Auffray, associate director of residence life at the University of British Columbia. But both students and administrators are divided. Some think that kind of housing would help provide extra support and community. But others worry that it could end up segregating students, the way reserves have historically segregated First Nations communities across the country. For UBC, the possible move to a new kind of Indigenous housing comes as enrolment of Indigenous students is climbing. 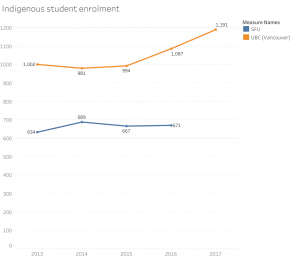 Indigenous student enrolment at SFU and UBC has increased over the past five years. For the last 15 years, UBC has had a policy that gives these students priority access to rooms in standard residences on campus. Of the estimated 1,191 self-identifying Indigenous students enrolled at UBC’s Vancouver campus, more than 200 live in residence. 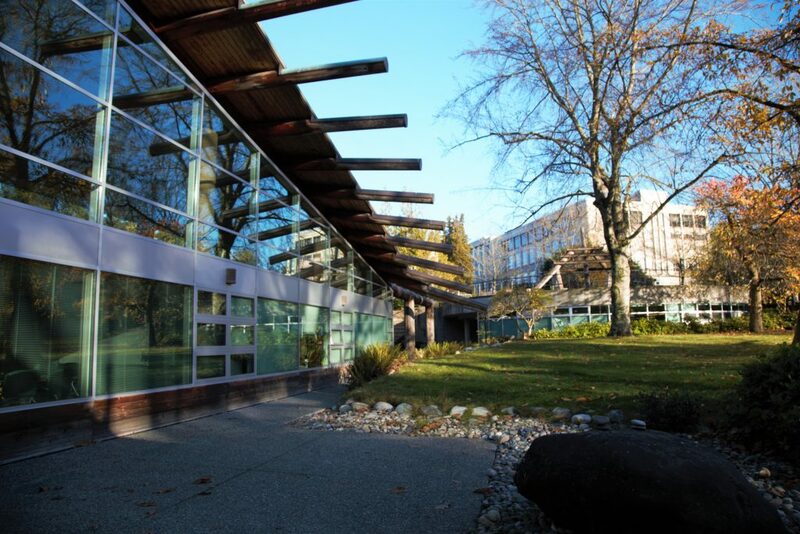 Other universities, like Simon Fraser University, have a similar program but have also created a separate facility with housing just for Indigenous students. The Indigenous Student Cultural House, a collaborative initiative between SFU’s residence and housing department and the university’s Indigenous Student Centre, reserves two townhouses that provide eight Indigenous students a living space and the opportunity to participate in community-building cultural activities. They also plan on expanding this program to include a portion of a larger residence building. Tracey Mason-Innes, SFU’s director of residence and housing department, said the university believes that the model gives students a boost that goes beyond just housing. 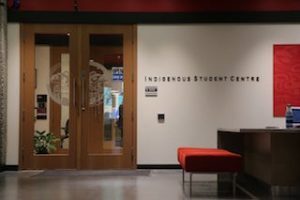 The Simon Fraser University Indigenous Student Centre worked with SFU administration to create special housing for Indigenous students. But some Indigenous students are uneasy about that kind of separation. 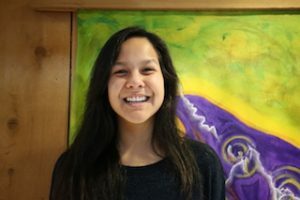 “I think it’s a good idea but also I feel like it’s just pushing the Indigenous kids away to a corner,” said Tessa Antone, who is in the Indigenous teacher education program at UBC and is a member of the Squamish Nation. Tracey Eustache, a UBC master’s of social work student and a member of the Secwépemc and Okanagan Nations, also expressed concerns about designated housing. Others, though, believe designated Indigenous housing could foster a sense of community as well. Brittany Seymour, also in the Indigenous teacher program at UBC, believes that students would love a designated Indigenous student house. Brittany Seymour, an Indigenous student at UBC, stands in front of artwork at UBC’s First Nations Longhouse. But UBC’s current system of priority access to housing is also something that many Indigenous students appreciate. Morgan also believes Indigenous students at UBC would benefit from the creation of Indigenous housing units, similar to the townhouses that SFU reserves for Indigenous students. Even putting aside the debate over designated Indigenous housing, there are still problems for Indigenous students. One is that the bureaucracy doesn’t necessarily adapt well to the way that some Indigenous families live. UBC’s housing department defines family as two people in a marriage-like relationship, with or without a child. This means that non-nuclear family members are not guaranteed family housing, even if they are immediate family members such as parents or siblings. A UBC student and single mother, who preferred not to be named because she fears discrimination in a future workplace, was unable to secure family housing on-campus because the university wouldn’t allow her mother to live with her to assist with childcare.